Sniffer has been shot and Viktor brings him to the hospital. Flashbacks reveal that they were investigating a case of murder for two headless, handless bodies discovered by a woman walking her dog. A man, 30-35 years old had shot them before using a large metal sheet to decapitate the bodies and take the heads with him in a plastic bag. Sniffer finds the metal sheet nearby next to a briefcase that belonged to one of the victims. One of the victims was a senior investigator in law enforcement, as determines by his ID still being in his pocket. The department has a new medical examiner named Irina Nordin, whom Viktor is immediately attracted to though she is uninterested in him. The second victim is determined to be a petty criminal named Shilov who had been released from prison eight months prior to his death. Sniffer and Viktor visit the first victim's office and finds that he had worked on an immunity agreement for Shilov but upon looking through it there are eight pages missing. Meanwhile Tatyana's husband is released from prison and learns that her filing to divorce him was accepted regardless of him not giving consent. But Tatyana has been staying in a psychiatric hospital to deal with the trauma of being taken captive by the killer in the season one finale. Yulia lists her but hides her scent by dousing herself with cheap perfume so that Sniffer won't know she was there if he comes to visit. A man named Komarv had killed a woman that caught him on a robbery with Shilov. A neighbor saw Komarv kill her but when she brought in to testify she refused to go through with it. Shilov was able to get a shorter sentence when he agreed to testify against Komarv. The first murder victim, Lyonya, is said by his wife to have been climbing his career ladder fast and that his boss wasn't so happy about this since he was looking for older cases to crack in addition to his newer ones. A police captain visits the elderly woman that nearly testified against him and kills her, saying he can't take any risks if she decides to change her mind and go through with testifying against him. He tries to frame the murder as an accidental death resulting from her slipping on wet food. Sniffer is brought in to check the crime scene but he can't pick up on anything past the overwhelming scent of cats. The other investigators check her place and discover part of a cash supply she had taken to not testify against Komarv and the medical examiner is able to find signs that her death was not an accident. Sniffer visits Tatyana and she runs away from him due to him being a triggering reminder of the traumas she has been through. Sniffer and Viktor continue their investigation and it leads them to a junkyard where Sniffer is able to locate another dead body. The body is shown to be Komarv, their main suspect up until that point. Meanwhile the wife of the first victim finds the missing eight pages of the immunity deal in their wedding album. She calls in Viktor and Sniffer to show them what she has found. Shilov testified that Komarv had left with a police captain. He followed after them and witnessed this police captain kill Komarv. He also says that he had previously seen the police captain at the 47th police station since that was where he had been reprimanded for prior crimes. Upon talking with the wife, Sniffer realises that a scent of sand he picked up from the suitcase was actually from the killer's hands, leading them to find the place where the killer buried the heads. It's the middle of the night when Sniffer holds the flashlights as Viktor digs. The captain appears to try to reprimand them for being on restricted lands but Sniffer tells Viktor he's the killer. A shoot-out beings and the killer gets away after Sniffer is shot. This leads to the episode's beginning where Viktor has brought Sniffer to the hospital to be tended to. 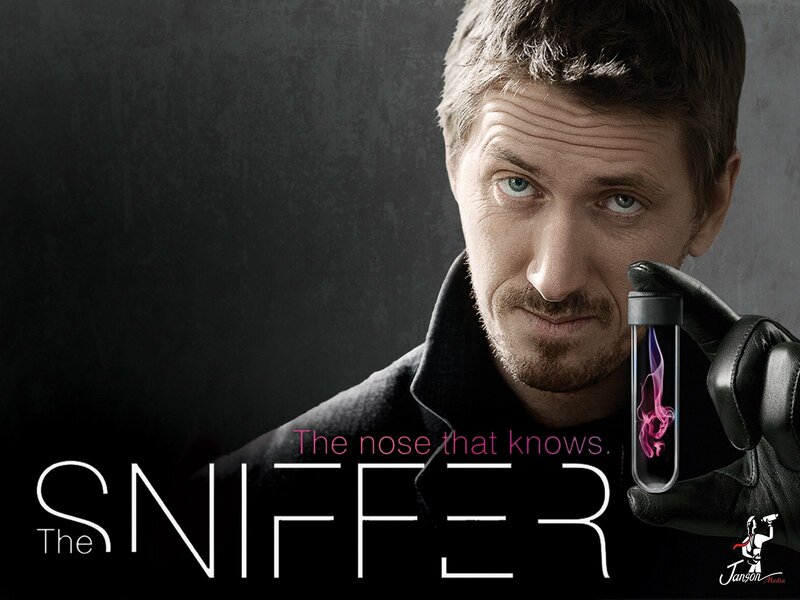 Sniffer flatlines but the doctors are able to revive him and tend to his gunshot wound. Yulia visits and is informed of Sniffer's progress and leaves afterwards, telling Viktor not to tell him that she came. Captain Shevtsov's bullets are shown to match the bullets in the earlier murder victims, which explains why he took the heads. Shevtsov meets with a criminal associate who tries to shoot and kill him but he also jumps out of the window and falls to the ground below before he can be killed.. At first is appears as if he's dead but after a moment, his eyes flutter, indicating that he's only badly wounded. The paramedics arrive and load him up into the ambulance before his associate can get to him. This would-be killer follows the ambulance on his motorcycle. Inside the ambulance, Shevtsov warns that he needs enhanced guards and protection. The killer causes the ambulance to have a flat tire and shoots the various paramedics before shooting Shevtsov numerous more times. Viktor and other officers arrive on the scene and surround the shooter. Viktor orders him to drop his gun but when the killer sees that he is surrounded, he shoots himself in the head. There is another sniper watching the scene from afar that was shown to be preparing to shoot the killer if he hadn't already shot himself first, while speaking to an unknown boss. He disassembles his weapons and asks for his new target. He receives a text message image of Sniffer.